Tom Rarich is the principal at Concord Web Builders. 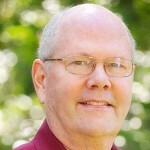 He has over 40 years of experience in the computer industry as Product and Marketing Manager, communicating with customers. He has worked at large and small companies to design and market both hardware and software products. Tom now helps clients define and develop effective and affordable web sites that are as usable on smartphones as desktops. With 20 years of experience building websites, he has seen the technology change dramatically. He understands that the needs of websites today have changed significantly and require new responsive technology to enable websites to be used on small screen mobile phones as well as desktop computers. Easy to read on all mobile devices as well as larger computers. Easy for non-technical folk to update and maintain.